Alexander Riccio, a labor organizer based in Corvallis, Oregon who co-hosts the podcast LabourWave Revolution Radio, talks with Kevin Van Meter, author of Institute for Anarchist Studies/AK Press book Guerrillas of Desire: Notes on Everyday Resistance and Organizing to Make a Revolution Possible, available here! Alexander Riccio: Some have read your book, Guerillas of Desire: Notes on Everyday Resistance and Organizing to Make a Revolution Possible, as an attack on organized labor in general, or as one that poses an either/or decision between supporting Left organizations, such as unions, versus championing forms of everyday resistance. What do you say to these criticisms? Kevin Van Meter: I don’t see my work as an attack on organized labor per se, but as a critique of where organized labor has been and how it is currently functioning. I think one of the major problems with organized labor, at least in regards to business unions, is their inability to innovate, their inability to learn from their own historical lessons, and their inability to listen to the actual needs and desires of the working class outside of the union’s organizational frame. Unions have a very particular way of going about organizing: a steward system, a contract vote, provide services, conduct a corporate campaign. For thirty years, labor unions have hired people predominately out of college rather than from within their own ranks, and during the same period, there has been a focus on corporate campaigns rather than building substantive relationships on the ground. The fact is that building relationships on the job and in communities is necessary for the Left to bounce back, pass legislation, organize unions, and be successful in the streets against forces like fascism. All of that means it’s necessary to reweave the social fabric, but unions have largely ignored this necessity. My mother was a union librarian most of her working life, and she pretty much never met a shop steward. Because I’m ideologically and politically on the Left I have always identified with organized labor and supported organized labor. My brothers, however, don’t see our vacations or the braces on our teeth as a result of the union because we encountered no visible relationships with her union. Meaning: no picnics, no one stopped by the house, we didn’t sit in on union meetings, etc. Contemporary labor focuses a lot on the next contract. But when such focus comes at the price of ignoring larger relationships the result is that there is no social fabric to rely on anymore. So I don’t see overt forms of rebellion and everyday resistance as dichotomies, because I believe that they require one another and we on the Left need to be attuned to both of them. The focus on everyday resistance in the book is somewhat polemical because I feel that it is so often ignored. Some of the most innovative organizing that labor has seen in recent years has been in the creation of worker centers and formation of Domestic Workers United. What we saw in these examples was the bubbling up of activities taking place at a lower level. Domestic workers are predominately women — immigrant women, poor women, and women of color — and they work in an industry that is isolated and highly isolating. In such an environment, these workers organically developed ways of communicating with one another so that they could collectively address common needs and common problems. Workers’ centers and Domestic Workers United are the further expression of these methods of organizing. Those on the Left, along with anarchists and fellow radicals, who are attuned to labor and interested in labor issues often point to the example of the Industrial Workers of the World [IWW] for inspiration. However, they tend to ignore the huge amount of cultural activity and social life that existed from which the Wobblies emerged. The IWW was not just the Western Federation of Miners, Lucy Parsons, “Big Bill” Haywood, or other iconic figures such as Joe Hill. In fact, the Wobblies were an expression of a set of relationships and ethnic organizations which formed a cultural milieu. Strikes grew out of such cultural and social activity. You take a lot of inspiration from different autonomous movements and the early Wobblies. I’m curious to know if there are other histories or models of unionism that you take inspiration from or that you believe can inform today’s organizing? I’m going to try to answer this in three ways. First, I want to talk about what I call the “Occupy problem,” which was / is systemic to the Alter-Globalization movement and other Left politics. In short, when there are thousands of people showing up in a square, we know how to address this phenomenon (though it’s not easy) through creating assemblies and other dialogue structures. Such are reasonable responses to moments of upheaval, but I think we often neglect to consider how we should approach organizing in periods of lull when large-scale activity like Occupy Wall Street is not happening. Secondly, I want to address the topic of historical examples, because we have to be very careful when trying to apply a model of organizing which was created in a particular time and place. Third, and finally, I want to talk about more contemporary examples of organizing that I believe can be generalized. In considering the “Occupy problem,” what happens is we often look to these moments of great social upheaval and view particular models of organizing that take place within these contexts as interesting, inspiring, and possibly “successful.” But these models of organizing are occurring in a context which is not the same as times when you’re having meetings and only three people show up, and there’s not a lot of general interest in what you’re seeking to accomplish politically. If we are attuned to the everyday forms of resistance that are taking place in the working-class, then our strategies toward organizing will be more capable of furthering these types of resistance activities and will better respond to working-class needs and desires. To make this more concrete, consider being in a place like Portland, Oregon, where a lot of the interest in activism around the election appears to have died down even amid the still-looming fascist threat and more general political attacks such as efforts to dismantle Medicaid. Has that decreased because the interest itself no longer exists, or is it because we on the Left didn’t utilize and captivate this interest at a particular moment? Or, are people just simply trying to survive? Most of the people that I have been communicating with in Portland and elsewhere are telling me that they’ve moved to the question of survival. Many of us are not surviving on the wages that we make, or on our ability to access even the limited forms of healthcare through Medicaid and the Affordable Care Act. If the Left sought to address survival as a real political question by asking how working-class people are surviving or not surviving, which means locating forms of everyday resistance, then we could help develop ways to further such resistance. By doing this I actually think the appearance of lull would look different. We would no longer be waiting for the next upheaval, or the next issue, or the next moment we need to captivate, or the next horrendous incident of death and destruction to which we need to respond. Getting to the history… there is indeed a long history of struggles for workers’ control, not only in the United States but across the planet. What’s interesting is that even more formal union activities have relied on or had autonomous forms of organizing going on within, against, and alongside their formal activities. The struggle within Detroit auto factories by Black auto workers as a parallel union and autonomous structure to fight the white supremacy of both the boss and the union leadership can be seen as an example of this activity. Such democratic elements, like workers’ councils, that actually exist on the shop floor is part of what I consider the autonomist tradition. There exists a direct relationship between everyday resistance and overt rebellion, while there’s also a direct relationship between autonomous forms of activity and more formalized structures. The question becomes: Do particular formalized structures advance autonomous activity or crush such activity by trying to steer it in a particular direction? On the other hand, there are forms of political struggle that are not a part of the autonomist tradition but mirror autonomist activities. It should not be surprising that phenomena like worker centers have bubbled-up out of existing social networks within day labor populations. There need not be a political affiliation for people to come to similar conclusions about the need for democratic mechanisms to address things such as wage theft, stability in employment, safety, and the need for community solidarity. Out of worker centers and similar activities develops organizations like Domestic Workers United. The important lesson is, think about the kinds of mechanisms we will need to allow for self-activity to emerge and be furthered into other forms of activity. We should be careful not to settle on an organizational model because it worked at one point in history, or because we identify with it ideologically, or it happens to be the hot thing currently. We need to ask what we want to accomplish, and does this organizational model help us accomplish that? Sometimes that might mean incorporation, or non-profit status, and sometimes that means being a part of an autonomist or anarchist collective. Which model, where, and when? These cannot be decided in the abstract, but can only be experimented with. We need to dig deep down into our community relationships, and our organizational models are going to have to come from that context. We have to think about how our organizations emerge. Why are people involved? What happened in people’s lives that they are willing to give up nights and weekends and even their own personal safety to organize? When we are attuned to those things and we have those kinds of conversations with our broader community, then not only do we reweave the social fabric but we actually allow for people to enter into our organizations and movements. If we want to build substantive resistance, then we need to be able to communicate with the communities of which we are part. Not “communicate” by convincing them of our particular ideological line. We need to hear where people are at rather than where we want them to be. For example, the worker center that I know the most intimately was the Workplace Project in Long Island. It was predominately El Salvadorian with lots of former FMLN [Farabundo Martí National Liberation Front] members, and heavily Catholic. They had an ongoing community dialogue where they met bi-weekly in order to talk about concerns. Not just things like wage-theft, but also the content of their lives such as the immigrant experience, religious practice, and the importance of sharing a meal together. Workers centers, at their best, emerge out of dialogical processes. The Workplace Project wasn’t knocking on doors or reaching out to members by saying “this is the topic of focus for this month.” It was an ongoing process of developing facilitators, helping members become organizers, building people’s skill set, and holding a place where people could go and talk about the substance of their lives in an open, free-flowing dialogue. Through these dialogue processes, people discover that they actually know quite a bit about not only the problems, but also the solutions. They know quite a bit about how their job works and how their community does or doesn’t work. Instead of presuming people don’t know until the organizer arrives, one needs to assume that people doknow and just need a collective way of coming about finding solutions. Dialogue accomplishes that, and out of such dialogue emerges an organization. As long as you’re incorporating such processes of conversation the organization continues to be renewed. In a recent interview, you noted that in order for the Left to be attuned to everyday resistance we need a new type of organizer. In your idealized view, what would a new organizer look like? The role of the organizer is to coordinate collective life, to produce more organizers, and to listen to the struggles already taking place, amplify and circulate them. All of this is different than the organizer doing everything, from planning the event, calling constituents, and the like. That should not be the role. The idea is to ensure that people are able to be involved in the process. We need to consider how to get away from models where the organizer does everything, and move to one where the organizer taps into the existing skills, needs, and talents of the people they’re in communication with in order to expand these features. An organizer’s job is to organize themselves out of a job. It is to take participants into other roles and progressively pull back on mentorship and training as people’s own skill sets develop. Other people should be trained and given the space to take over those roles to replace the first group. In considering your idealized image of the “new organizer,” what practical advice might you recommend for a staff organizer in an already existing union with its own accumulated history and practice of organizing, often one where the paid organizer does everything? How would they create space for the new type of organizer to emerge? If at all possible, union staff organizers who are working with shop stewards or potential members, need to invest as much time as they can, even against the orders of their superiors, in building the capacity of others. Some unions get that, some don’t. Too often, we present our own political and organizational position as thecorrect way to go about politics and organizing. We forget that people are dynamic and have all kinds of interests. A potential member’s capacity and skill-set may not align with the unions pre-determined agenda, but even when a person’s interest is in something like tenant rights then you still need to involve yourself in that person’s life as they find their way politically. We should still support those interests as it furthers a larger political and class agenda. I think the metaphor is strong and essentially correct. The way I’ve phrased it in the past is that there exists a ‘constellation of projects and initiatives.’ We have to get away from the idea that there is a particular form of revolutionary organization that is going to be successful and address all needs. We need projects to address accountability. We need educational projects. We need organizational training. We need community members working on a variety of issues. We have that in some ways but we don’t treat it as an ecosystem or constellation where these things are interacting as a part of a larger movement. We should intentionally build the varying capacities of the community as well as our particular organization. Movements themselves are situated within contexts and ecosystems we have to be mindful of. If someone is just passionate about alternative media, there’s no way of shoehorning them into simply doing x, y, and z because that’s the revolutionary organization that we believe we need at this time. What we should consider is how in fact these movements can collaborate with one another, because you could have alternative media or educational programs that actually address the varying needs of organizers in different ways. If we don’t look at our larger ecology of movements or constellation of projects, we lose opportunities for collaboration, for shared resources, for building capacity, and possibly for sharing members and sharing initiatives. This is not as simple as creating a coalition, because coalition work is steered in a particular direction. Instead, we should consider how it is possible to involve people in the community in varying kinds of organizing because we do need alternative media, and we need educational programs. We need support groups. We need long-term organizer development. We need slush funds to bail people out of jail and we need legal support. These relationships need to exist prior to the moment of upheaval or a moment of crisis and repression. It’s not so much a question of whether we have chosen the right strategy, tactics, and organizational forms but instead a recognition that there are so many of these things which we need in order to have a healthy and substantive movement. The metaphor of an ecosystem is a very apt one because it gets at a couple of different things that we are not doing very well at this moment. There are going to be projects within that constellation that are not attuned to everyday resistance, which are small closed-in projects where a group of people are doing things like peer-to-peer support around intimate violence. Not everything needs to be attuned to everyday resistance, and not everything needs to be a formal organization. I have friends here in town who are part of a femme-poetry and performance group that’s been meeting and supporting each other’s work, and it’s had a great impact on their lives. Why are we not providing those skills in a somewhat more formalized way? Why aren’t we developing more writers and study groups and readings and things along those lines? People are dynamic, they don’t just want access to food, clothing, and housing, they also want to read sci-fi books and comics together. Because we live in a society where that social fabric is broken down those things don’t usually take place in a collective manner, we need to understand that there are those survival programs that we need, there are those political initiatives that we need, and there are other kinds of life interests that we need as well. Capitalism and its horrors seem to thrive quite well despite the on-going everyday resistances, self-activity, and forms of mutual aid you highlight in your book. So, while you argue that everyday resistance is a factor in revolution, what else is needed? Kevin Van Meter, at work. I have argued that there’s an ongoing guerrilla struggle taking place in everyday life. The metaphor of guerrilla war is important because what movements need to do is pull the loyalty and consent of the larger population away from the state toward democratic, participatory, and egalitarian activities that address our needs and desires. How we do that is another question. I don’t think we know, nor will we be able to figure that out individually. The answer is going to be specific to the power of the working-class vis-à-vis the capital of the state, its internal density of relationships and strengths, and access to resources — and to the failures and inadequacies of the state apparatus to repress, contain, or co-opt our activities. Though I think we have to figure that out contextually, it’s important to note there’s always a relationship between everyday resistance and overt forms of organizing and rebellions. There’s always a relationship between spontaneity and organization. There’s always a relationship between solidarity, mutual-aid, self-activity and a larger process of struggle. To have healthy organizations and a healthy ecology of movements, there needs to be some kind of balance in all of these. Alexander Riccio is a labor organizer based in Corvallis, Oregon. 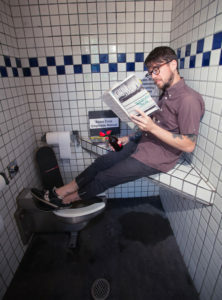 He co-hosts the podcast LabourWave Revolution Radio and is currently collaborating with the Common Space Collective on a project to revive the commons in the Willamette Valley. Kevin Van Meteris an activist-scholar based in the Pacific Northwest. 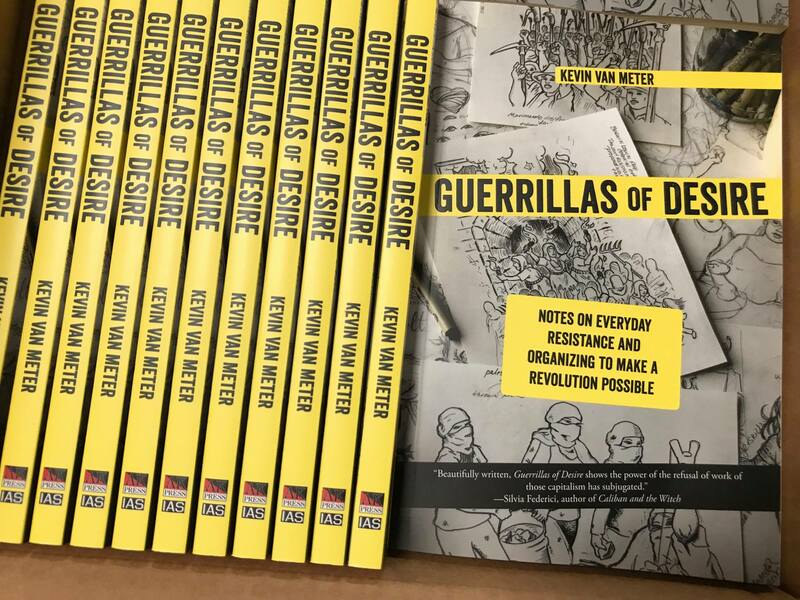 He is the author of Institute for Anarchist Studies/AK Press book Guerrillas of Desire: Notes on Everyday Resistance and Community Organizing to Make a Revolution Possible. Joyce L. Kornbluh, Rebel Voices: An I.W.W. Anthology (Ann Arbor: University of Michigan Press, 1988). Janice Fine, Worker Centers: Organizing Communities at the Edge of the Dream (Ithaca; London: ILR Press, 2006).